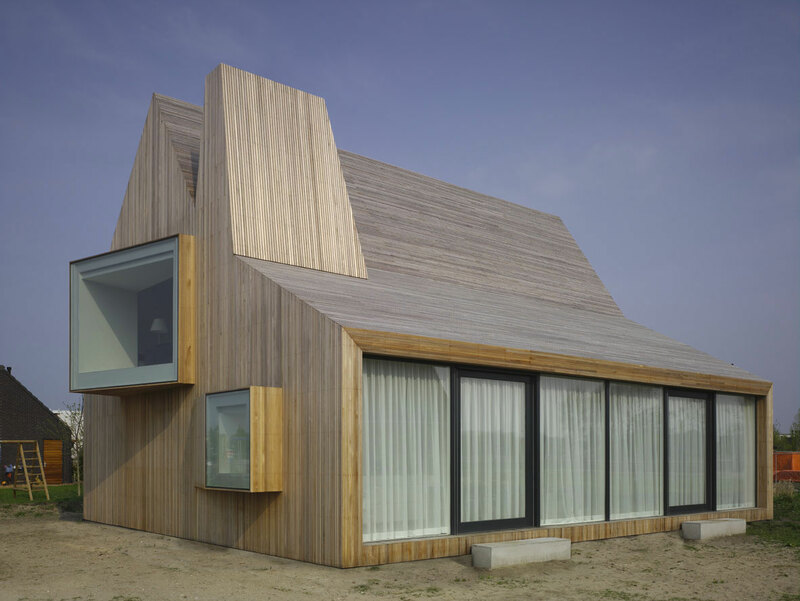 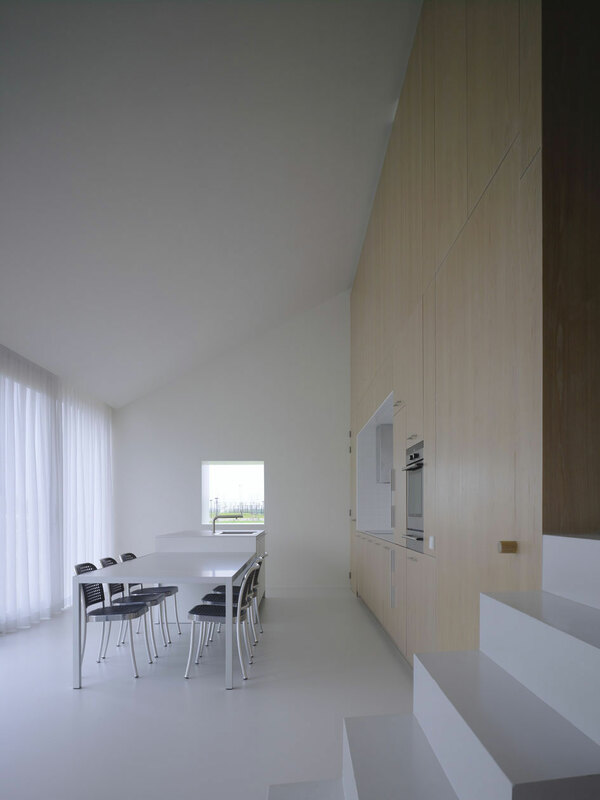 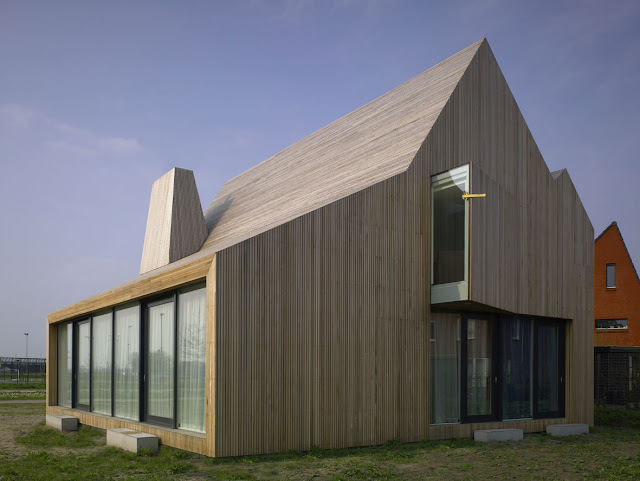 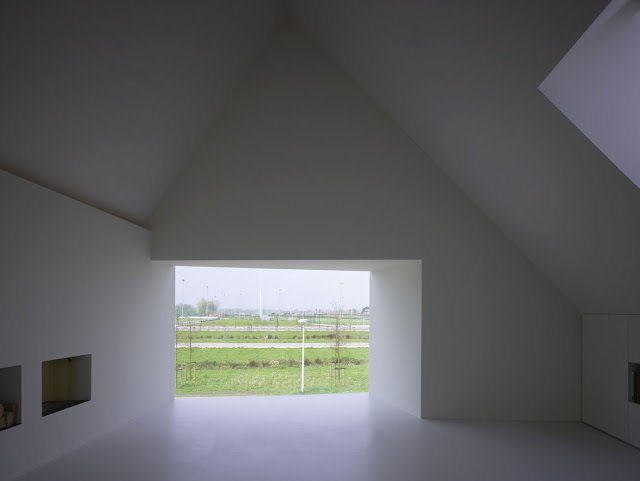 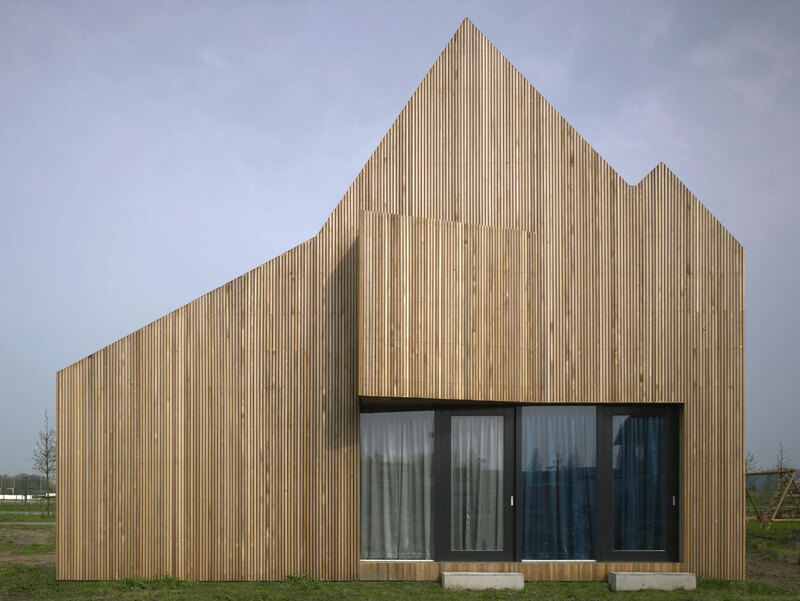 House Beirings is a very cool looking modern dutch farmhouse. 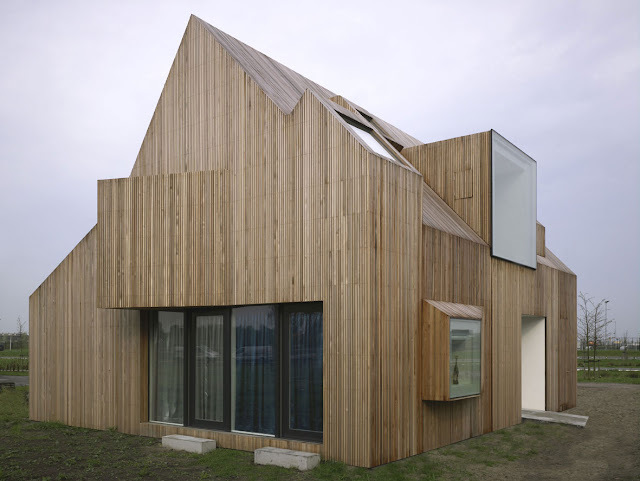 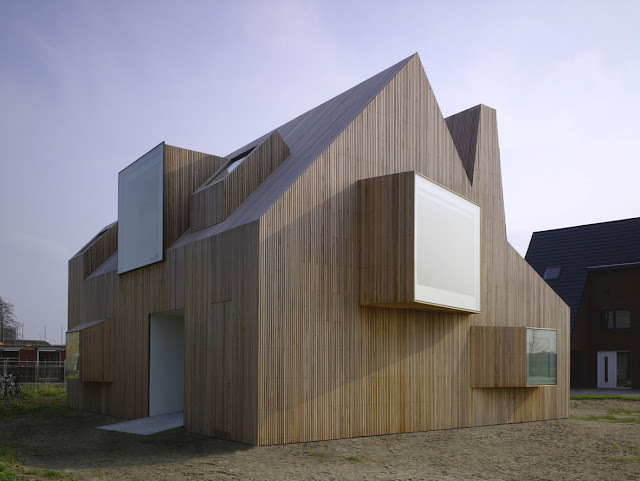 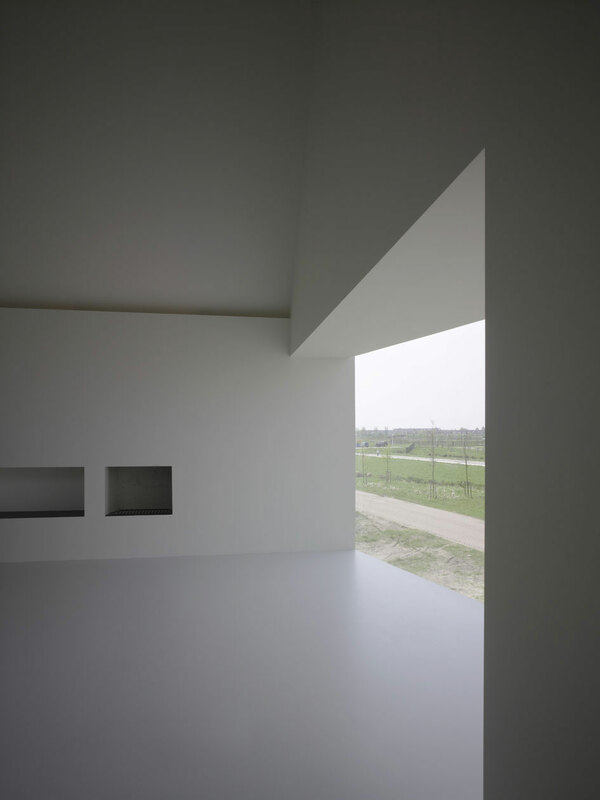 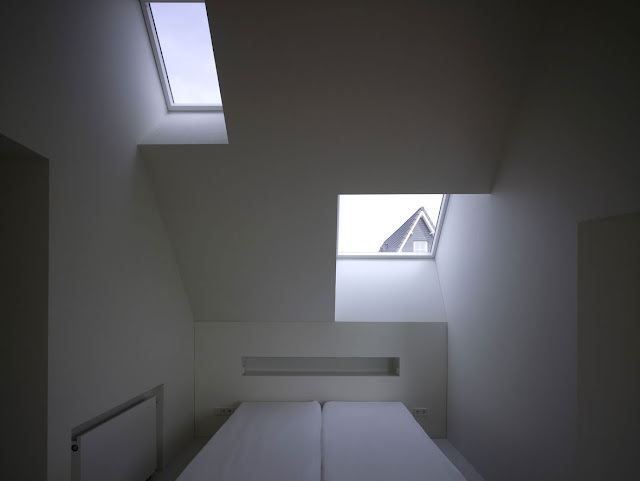 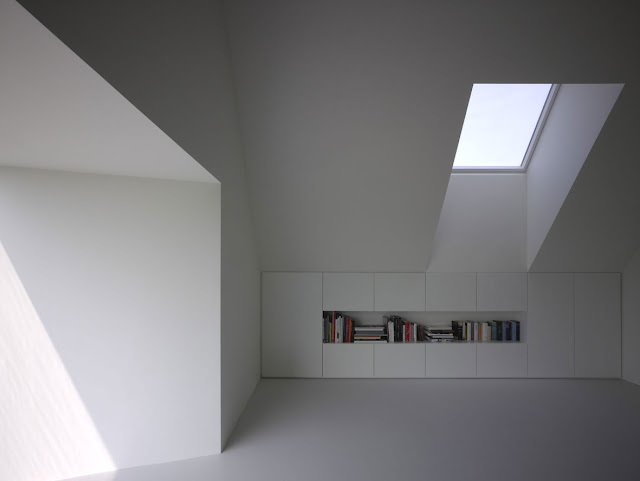 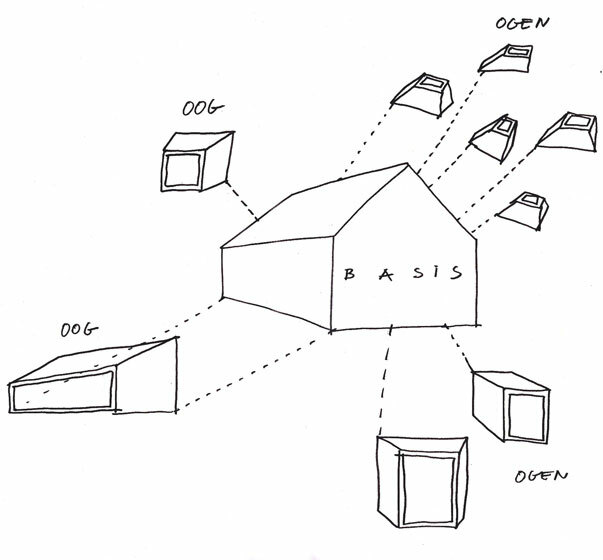 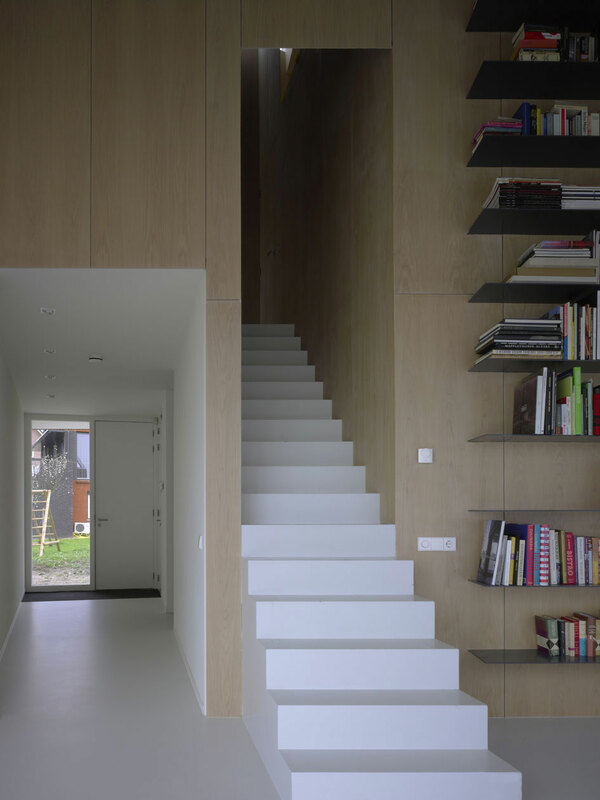 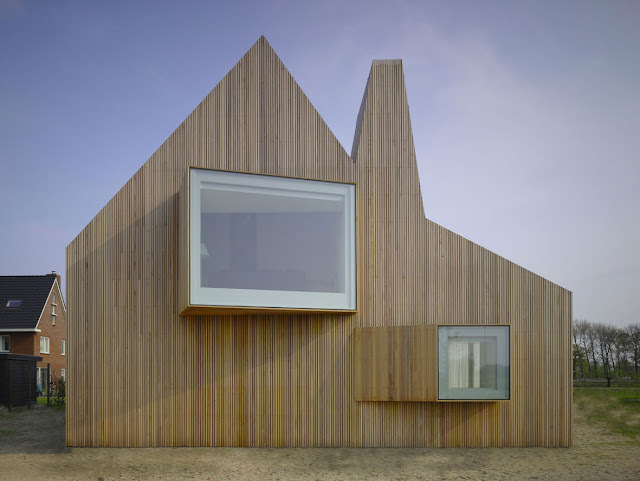 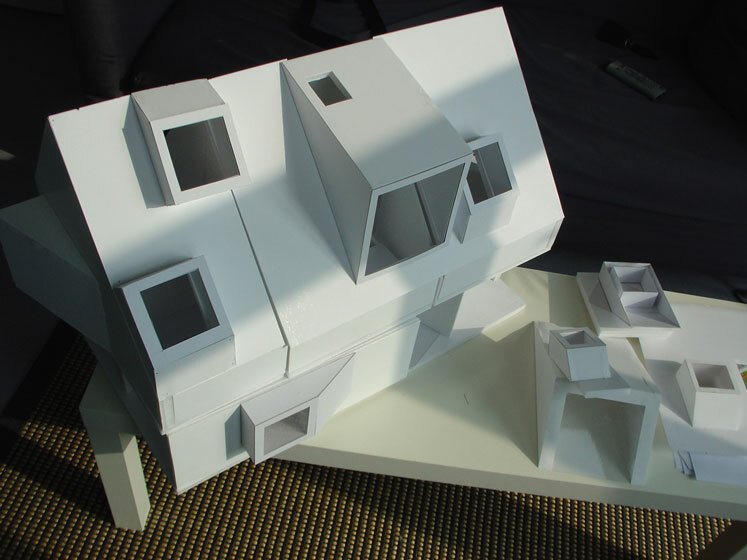 In an effort to avoid visual contact with adjacent houses, the wood home by Amsterdam architects Rocha Tombal, has different shaped openings, windows, skylights and dormers that offer interesting ways to bring daylight in without directly facing nearby structures. 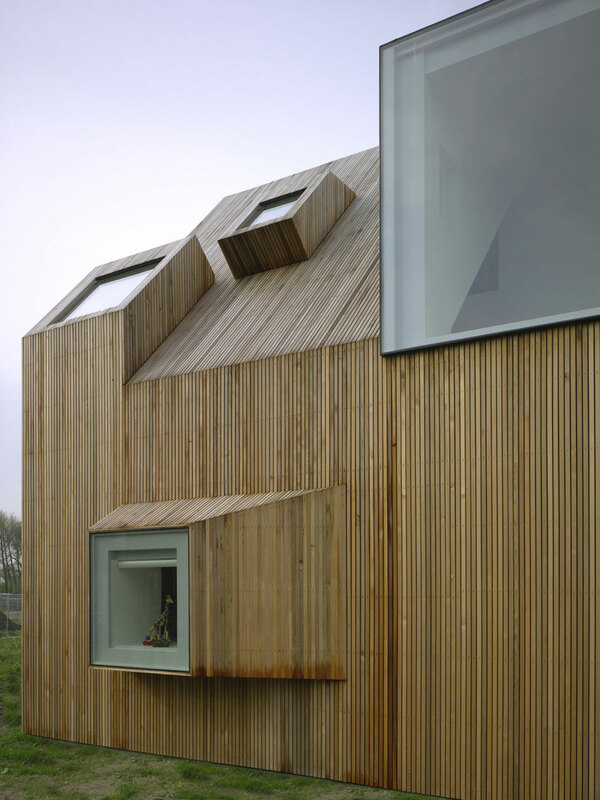 From a basic form, defined by the municipal urban plan, sculptural “eyes” emerge with direct views to the varied countryside landscape. 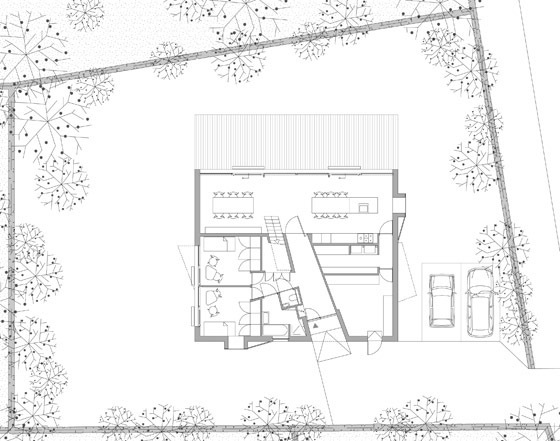 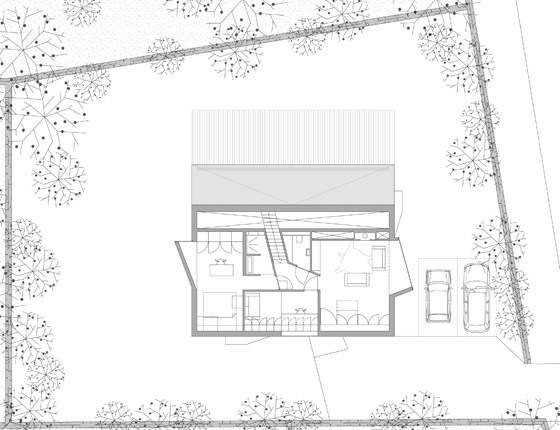 The form and orientation of the building avoid visual contact with the adjacent houses: at the ground floor the angled ceiling of the kitchen accentuates the intensive contact with the garden. 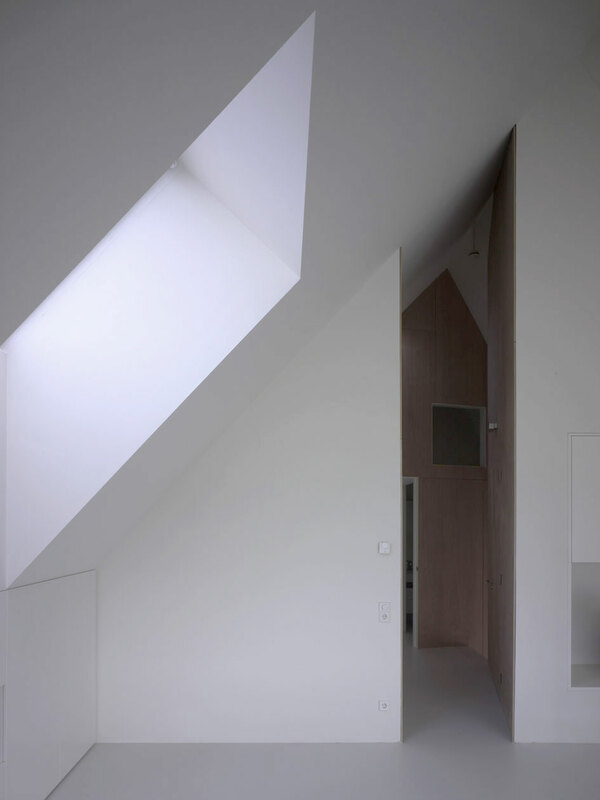 On the first floor, the different shaped openings in the roof and façade offer, like “fingers of light”, varied daylight experiences. 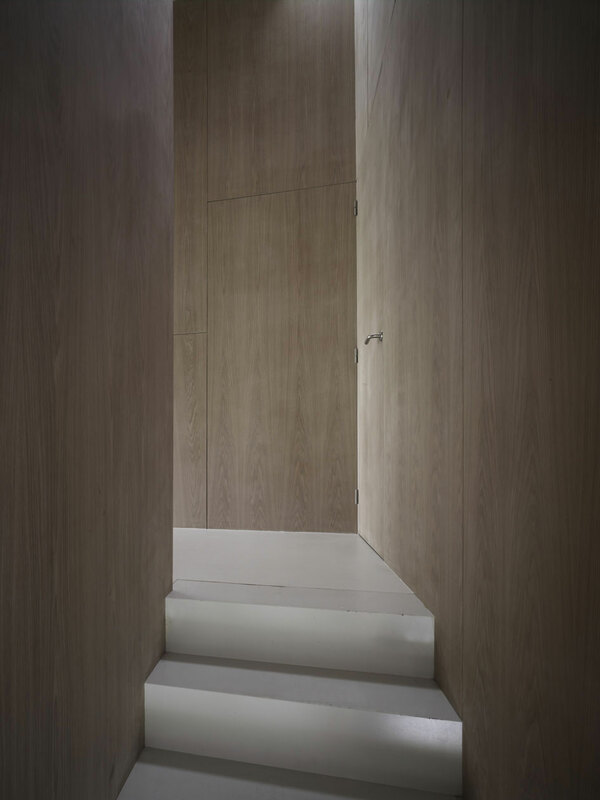 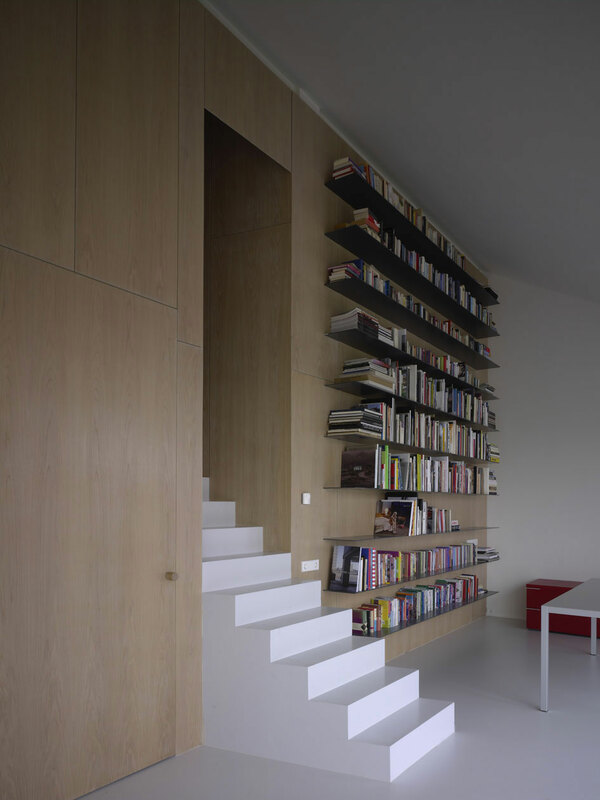 The routing through the house starts in the hall, a section of the ground floor volume. 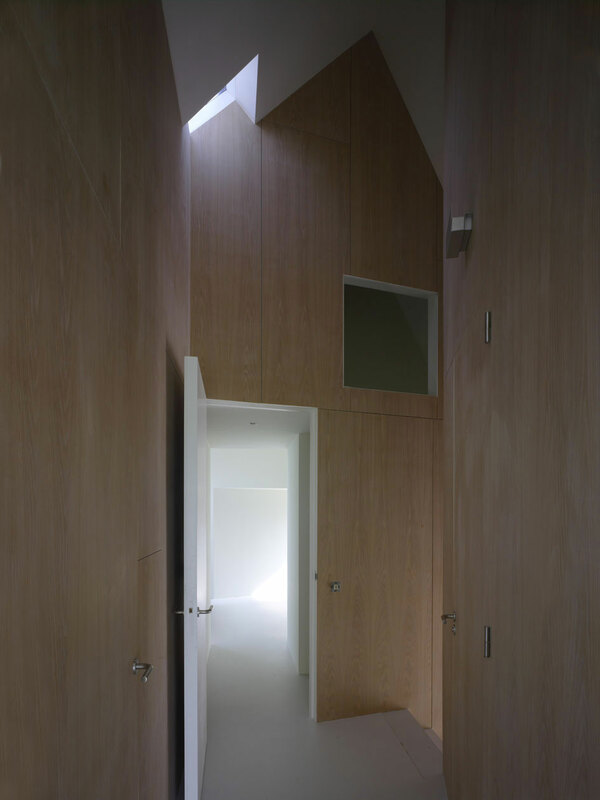 After experiencing the entrance area and passing the gigantic pivoted door, the visitor arrives at the “heart of the house”, the kitchen. 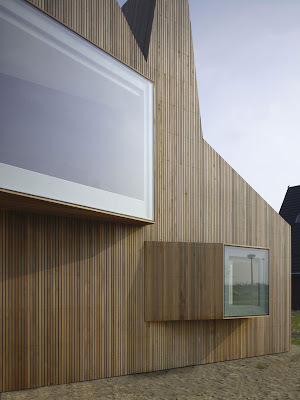 Here he looks through the big glass wall straight into the garden, which suggests being outside again. 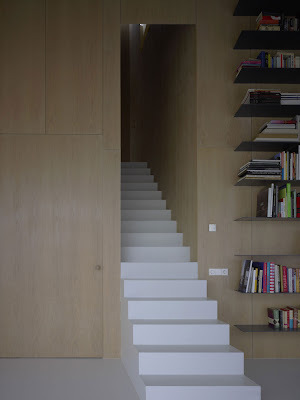 Behind him, the stair cuts a wooden wall inviting to follow the route towards the first floor. Its angled form and extreme proportions (small and high) and the daylight entering from the ceiling, offer the feeling of walking in a medieval street. 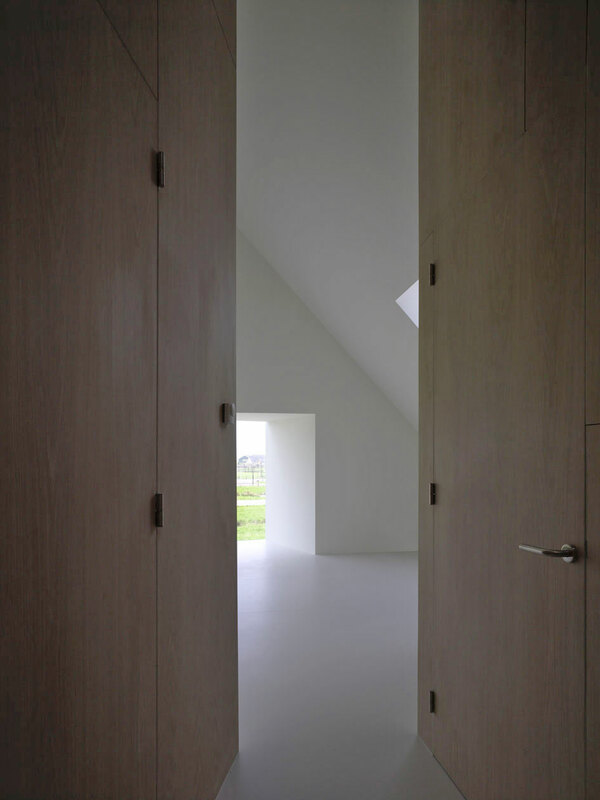 At the end of it he discovers the living room, a quiet, north-lighted attic space, from which a big opening exposes the surrounding green like in a framed painting.